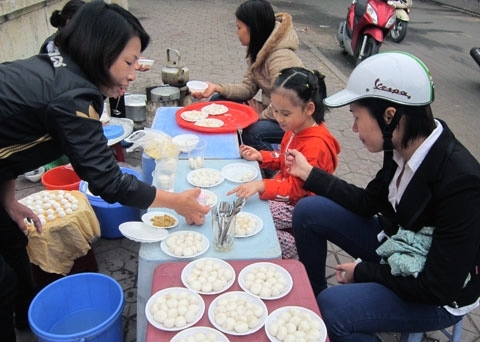 It is a tradition among many Vietnamese families to make trôi and chay cakes to celebrate Tet Han Thuc, which falls today on the lunar calendar. There is the bánh chưng (square-shaped sticky rice cake) and onion pickles for the Lunar New Year Tet, the bánh trung thu (moon cake) for the Tet Trung Thu (Mid-autumn), and cơm rượu (fermented glutinous rice) for Tet Doan Ngo. 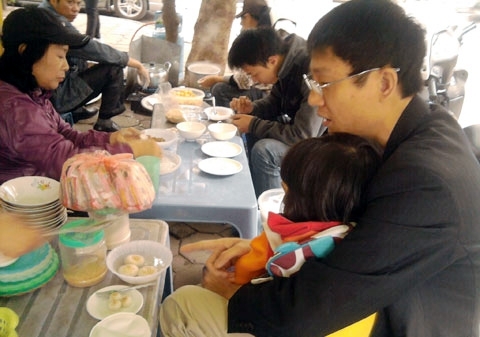 Then there is the Tet Han Thuc (or Cold Food Festival) that falls on the third day of the third lunar month (April 12 this year). 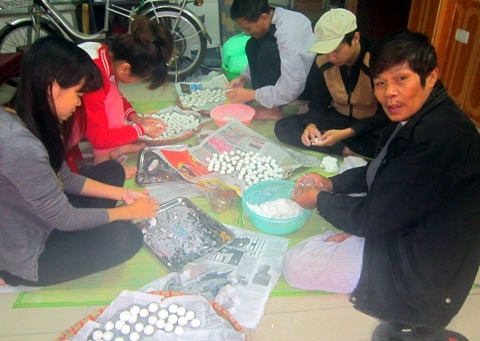 For this festival, many Vietnamese families, especially in the north, made the delicious trôi and chay cakes. Not surprisingly, these “cool” dishes are just right for the weather that prevails at festival time. 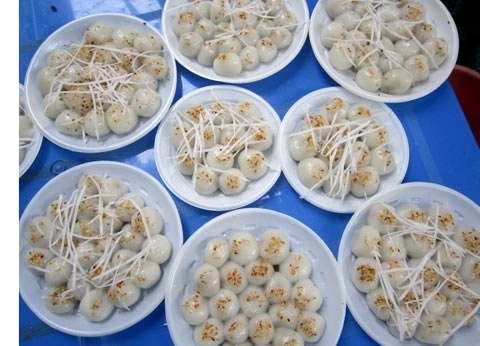 The Cold Food Festival originated in China. Legend has it that in 654 BC, Chong'er, King of the Jin Dynasty, endured many hardships while he was fleeing warring states with his courtiers. Once, in order to help the king who was tormented by hunger, one of his courtiers, whose name was Jie Zhitui, cut off the flesh from his thigh and offered it to the king for sustenance. Nineteen years later, Chong'er regained the throne and rewarded the courtiers generously but forgot about Jie Zhitui. Jie Zhitui, however, did not care much about this and took his mother to a remote mountain and lived in peace. The king later remembered Jie Zhitui’s service and invited him to the royal palace but he refused. Chong'er ordered the mountain to be burned down in order to force Zhitui out of hiding. Unfortunately Zhitui did not give in and the fire killed him and his mother. Filled with remorse, Chong'er ordered that no fire will be lit for three days every year and people must eat cold food. 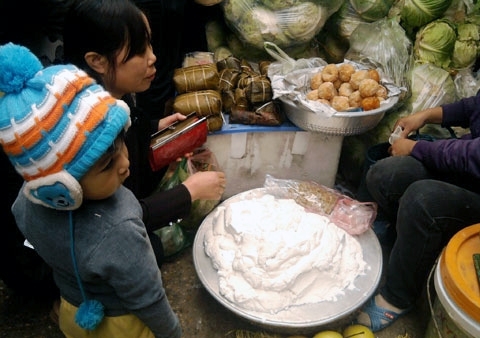 In Vietnam, the Cold Food Festival is mostly celebrated in spirit. 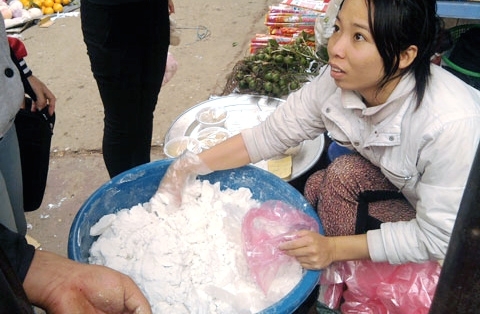 People light the kitchen stoves, and instead of eating cold food, they cook trôi and chay cakes to offer their ancestors, friends and relatives. Trôi and chay cakes are both made of glutinous rice flour. The ingredients and the recipe are quite simple. To make the trôi cake, flour is kneaded into balls and stuffed with small pieces of dried treacle, and for the chay cake, flour is kneaded into flat rounds and stuffed with steamed, crushed green beans mixed with sugar and grated coconut. Both cakes are then boiled in water until they float to the surface. The floating trôi cakes are taken out and immediately dipped in cold water so that they do not stick together. Trôi cakes are arranged in small round plates and sprinkled with fried sesame. Meanwhile, the chay cakes are placed in small bowls and sprinkled with fried sesame or green beans and served with an amber mixture of boiled kudzu flour, pomelo flower-scented water, and sugar. Both dishes are soft, sticky, sweet-smelling and most importantly, cool. Whether they are eaten on their own or as dessert after hot or spicy food, they live up to their traditional name, and soothe the palate and the stomach with their cooling effect. 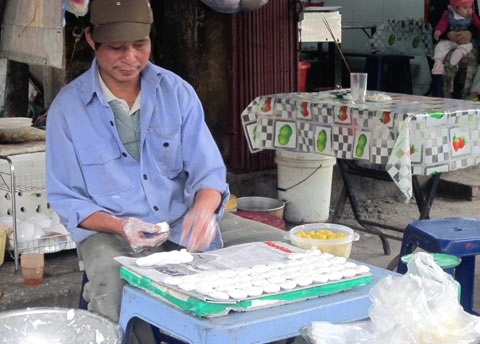 In fact, in Hanoi, trôi and chay cakes nowadays are not only cooked for the Cold Food Festival, but have also become popular breakfast snacks that can be found everyday at many food stalls. Some of the best places to get trôi and chay cakes in Hanoi are: Pham Bang at 30 Hang Giay Street; Diep Beo at 52 Hang Dieu Street; a stall at 4 Hang Can Street; and another at 250 Bach Mai Street.